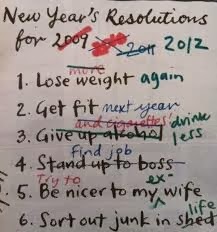 I have been seeing flashes across the Internet suggesting that making New Year's resolutions is passé. Apparently, it's akin to hanging a sign around your neck saying "geezer." 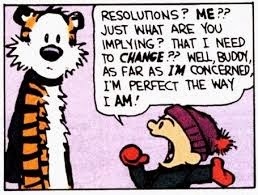 For one thing, resolutions are considered clichés and it’s better just to take life as it comes. One life guru recommended substituting personal mantras that are less vague and have more room for flexibility. Such as: "I choose happiness" and "Today is going to be a great day." My favorite is "I will be healthy" which just gives me the mental image of some smiling innocent being dead after he gets hit by a bus. My personal choice this year is to make some unresolutions suggested by recent reads. Gain weight. I learned in Rick Gualtieri’s Bill the Vampire series that it's mostly good-looking thin types who are chosen to be turned into the undead. Bill is a pudgy computer nerd who wears glasses and has no luck with women at all, but he is ever hopeful when the best-looking girl he has ever seen comes on to him. Little does he know what is in store for him. 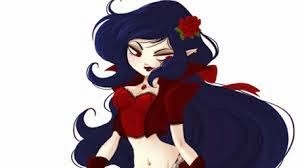 But funnily enough, it is the girl (a vampire by the way) and her crew who have a shock coming. 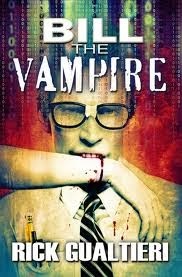 This book is hilarious and leads the way to several other vampire Bill adventures. Don't volunteer to help others. 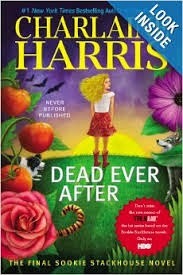 Sookie Stackhouse, in Charlaine Harris's Dead Ever After, has made it a habit to help other people––and just consider what's been going on in her life. After everything she has done to help Eric Northman and crew, they turn a cold shoulder on her. When she is accused of a shocking murder, she finds that a girl's best friend is a dog. Start smoking and drinking. 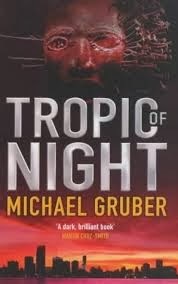 The only way to ratchet down the building tension in Michael Gruber's Tropic of Night is to have something to do with your hands. Jimmy Paz is a Cuban-American with a gruesome murder case on his hands. A young pregnant woman has been murdered, and unspeakable things have been done to the baby. Jane Doe is an anthropologist living in the shadows under an assumed name, but she knows the real motive behind the killing. It is related to African magic and many more drastic deaths are to come. 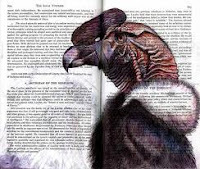 I found the book exciting and complex, with dollops of mumbo-jumbo. Stay home instead of taking an interesting trip. 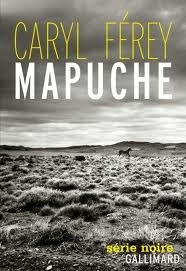 In Mapuche, by Caryl Férey, there is a view of the Argentina of the present, which has flashes of all the atrocities that have gone on since the 1950s. One critic found the book riveting, horrifying and more. My view was that it showed the worst of human nature, and some of the good things, but not enough to ever compel me to visit the area. 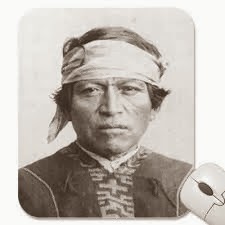 The Mapuche were indigenous to the southern South American continent. Many Argentines and Chileans have Mapuche ancestry and this was what initially drew me to the story. Get to work late. 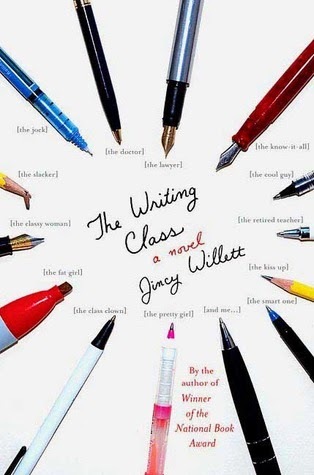 In The Writing Class, by Jincy Willett, it seems that if Amy Gallup had just elected not to show up to teach a writing class at her local community college, her life would have been much better. Gallup was published once at 22, with critical praise, but never again. Now her former life is gone and she is a reclusive widow, with a daily mantra of Kill Me Now. This semester's class is full of the usual writer wannabes, but it also includes one sick puppy who could be any of the students. The problems start with prank phone calls, but end in murder. Amy is shaken out her doldrums, as she uses all her skills to unmask the villain. Don’t take vacation days. 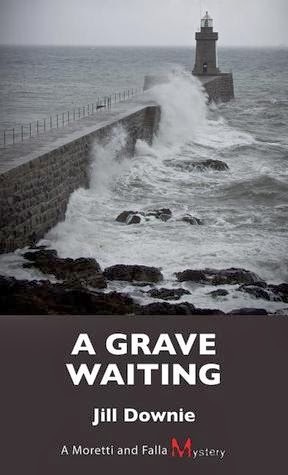 In A Grave Waiting, Jill Downie's Detective Inspector Ed Moretti is coming back from vacation with still a few days owed him, when he gets called back to work. This is the second outing for Moretti and his partner, Detective Sgt. Liz Falla. 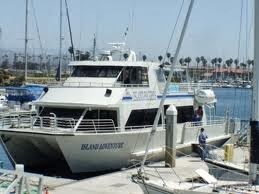 The location is the Channel Island of Guernsey, a place at one time believed to be back of beyond. Now a center of high finance and banking because of its favorable tax laws, Guernsey has left the days of greenhouses, flowers and produce behind. Moretti and Falla are called to a luxury yacht to look into the murder of a wealthy man. Mr. Masterson was a financier, and there's more to his murder than meets the eye. One thing that is not clear is why Masterson decided to come to the island in the first place and, secondly, who of the many people who had motives to kill him did the deed. The detective duo makes an excellent partnership, and the plot of the story is engrossing. Don’t make appointments with doctors who are going to tell you what you don't want to hear, most important considering Unresolutions #1 and #3. Max Tyger, a PI and part-time adjunct college professor in Darlington, Connecticut, went to the doctor because he had trouble choking on food and the diagnosis he got was hard to swallow––esophageal cancer, which required both chemotherapy and radiation. 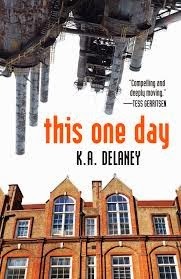 In This One Day, by K. A. Delaney, Max is at this low point in his life that includes a lack of health insurance and the loss of his girlfriend Helen, which he attributes to a birth defect—his lousy personality. But Helen comes to him with the case of a high school boy who has disappeared. The art teacher at a prestigious private school wants to hire him to find the boy, even though his parents have not reported him missing. Fighting fatigue, desperation and loss of dignity, Max takes the case primarily because he owes reparation to a boy from one of his college courses whom he could have helped if he had recognized there was a problem sooner. The loss of this boy haunts him. He wants to take the advice from another chemo partner to live just one day and try to do something good during the course of it. Avoid having fun. 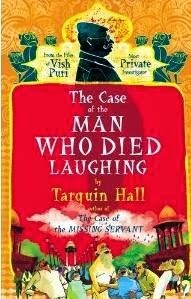 Vish Puri, a most private investigator, solves The Case of the Man Who Died Laughing, by Tarquin Hall. An Indian scientist, well known as a debunker who exposes fraudulent gurus, is somehow murdered by a manifestation of the goddess Kali when she plunges a sword into his chest. Puri is more clear-sighted than the other investigators, and he and his team of undercover operatives—Facecream, Tubelight, and Flush—will not stop until they know how the magic was performed. Read books with cute punning titles. 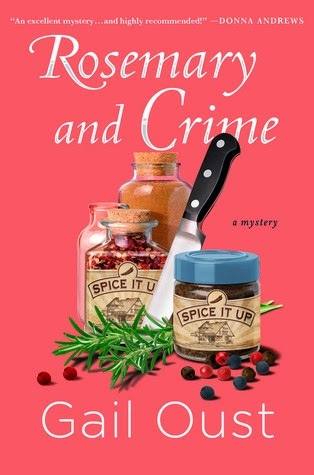 Since I usually avoid these books, I thought it would make a change for me and I do enjoy series, so Rosemary and Crime (Piper Prescott series, Book 1) by Gail Oust fit the bill. Piper Prescott, a recent divorcée estranged from her youngest daughter, is adding some spice to her life by opening her own business in a small town in Georgia. Spice it Up! as it is called, is prepared for its opening day until a star attraction, a chef with a maniacal temper, is murdered. Since Piper is finding herself in the frame, she takes the investigation into her own hands. Naturally, the killer decides that Piper is in the way and opts to eliminate her as well. Even after a few near-death experiences that might have been avoided with the use of a cell phone near at hand, Piper continues to leave hers here and there, mostly uncharged as well. This unresolution may be stricken from my list.